At Picoma, we manufacture our couplings from the highest-quality steel and aluminum, producing a wide range of trade sizes to meet your customers’ needs. 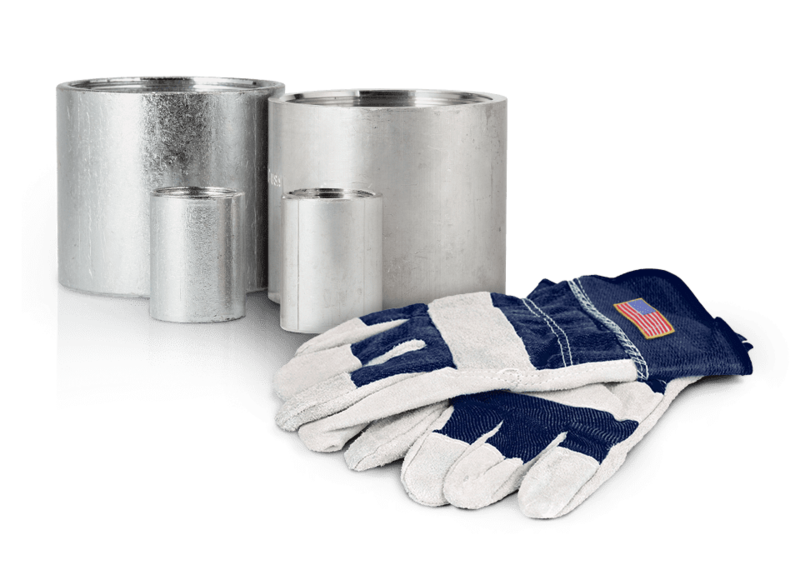 Like all Picoma products, our couplings are 100% made in America. Picoma’s galvanized steel and aluminum couplings allow contractors to easily connect rigid metal conduit made of the same materials. We manufacture all of our couplings in Cambridge, Ohio, and ship them to warehouses across the country. Picoma’s galvanized rigid conduit couplings are available in standard sizes. They can be used to connect either rigid metal conduit (RMC) or intermediate metal conduit (IMC) and comply with the following standards: CSA C22.2 No. 45.1, to which they are Certified; ANSI® C80.1; federal specification WW-C-581 class 1 type A; and UL-6, to which they are Listed. Picoma’s rigid aluminum conduit couplings make it easy to connect lengths of rigid aluminum conduit (RAC). They comply with the following standards: ANSI® C80.5, federal specifications WW-540A and UL-6A, to which they are Listed; and CSA C22.2 No. 45.2, to which they are Certified.